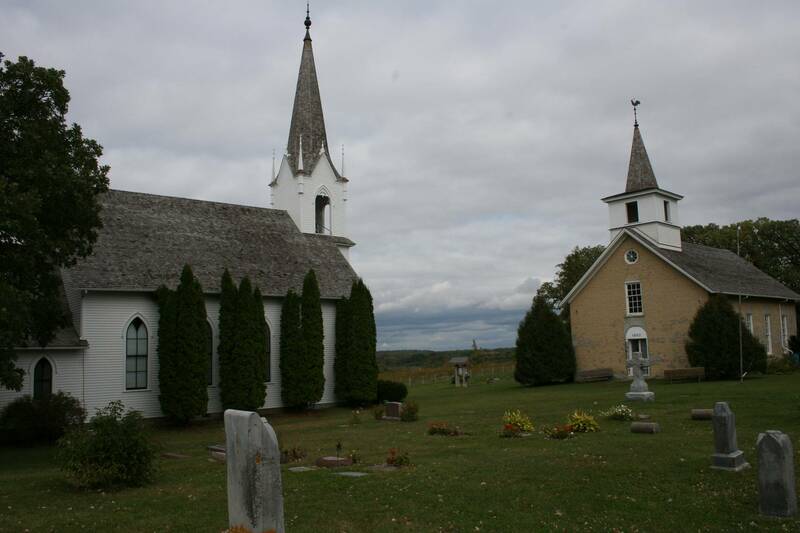 A serene and picturesque cemetery rests next to the 1862 and 1894 Valley Grove churches near Nerstrand. 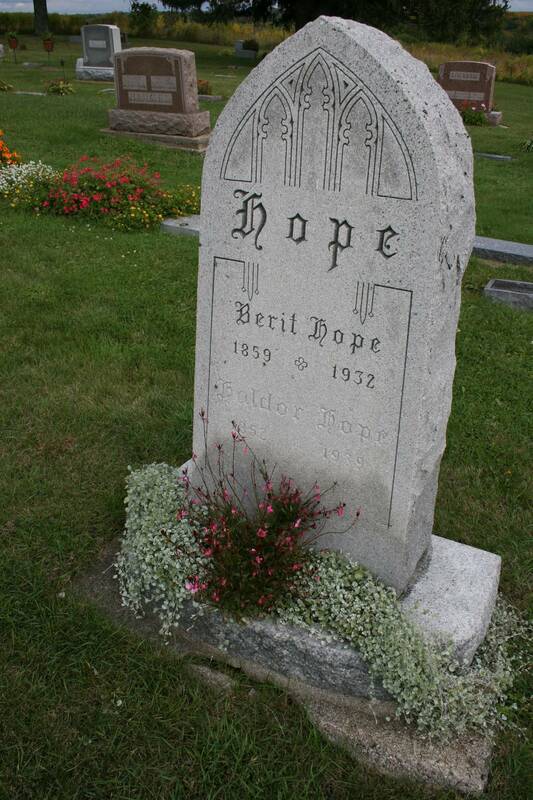 My favorite of all the gravestones at Valley Grove, beautiful in simplicity and beautiful in name, Berit Hope. FOR YEARS, CEMETERIES scared me. Not in the sense of ghosts or spirits or anything evil. But rather I cringed at the thought of stepping upon graves, knowing that underneath the layers of earth and of grass, within a box, a body lay. Eventually my perspective changed, evolving as I aged. With maturity come wisdom and an acceptance of death. Loved ones pass on—first my grandparents, then great aunts and uncles, a cousin, a brother-in-law, friends’ husbands, my mother-in-law, a nephew who died too young, an uncle, and, finally, my own father nearly seven years ago. With each death, I grieve. Yet I become more comfortable, stronger in my faith, more at ease in cemeteries where my loved ones lie. I’ve come to appreciate cemeteries as a reverent place of peace, of art and of history. The peace comes in understanding that life after death brings total peace. The artistic angle stems from headstones viewed as works of art with words and images sculpted in stone. History lies in the inscriptions of dates and names and carefully-chosen words, all of which tell the stories of individuals who once walked this earth, loved and were loved. There is so much to learn and value in a cemetery, in a place like Valley Grove Church Cemetery, founded in the late 1800s by Norwegian immigrants northwest of Nerstrand. I doubt that I’ve ever visited a more serene cemetery, set high on a hill overlooking fields and woods. This is a place of peace, of art and of history—restful and pleasant, rooted deep in the land. 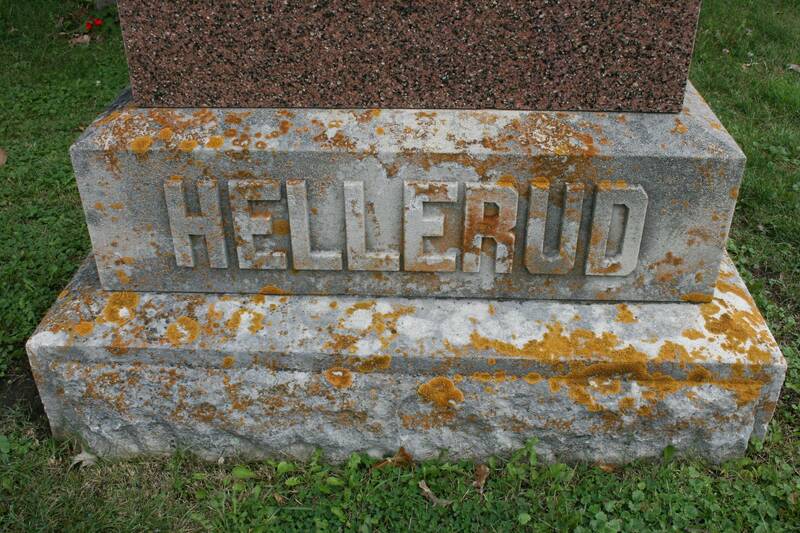 A strong Norwegian name, in strong letters at the base of a weathered and strong tombstone. 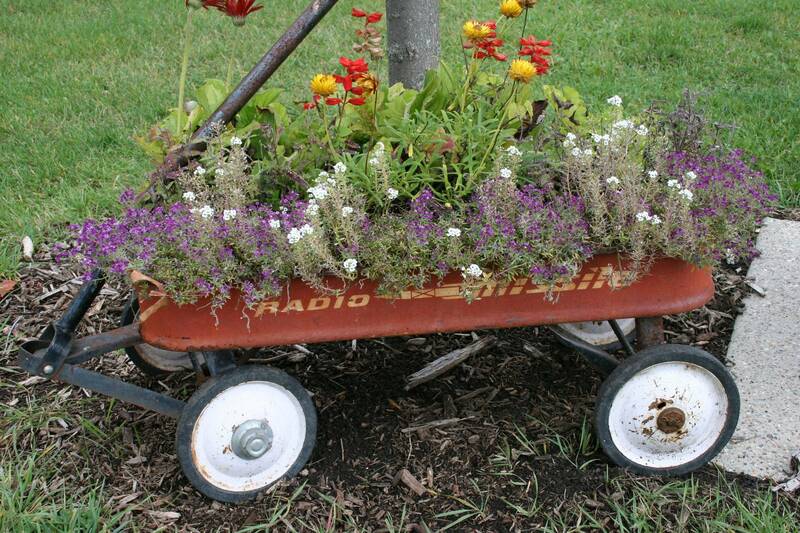 For the Feldman children of Northfield, Emmalee and twins Owen and Cooper, a red wagon memorial. 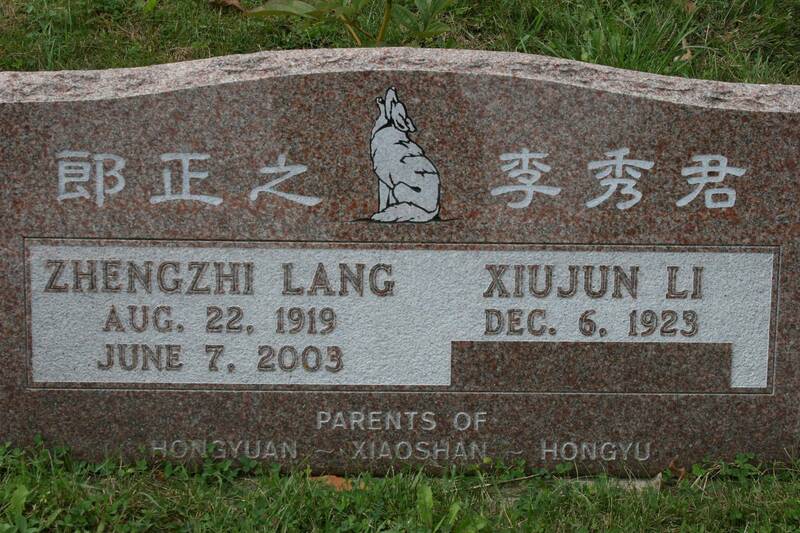 A family gravestone that seems oddly out of place in this primarily Norwegian cemetery at Valley Grove. Perhaps these were refugees welcomed to America. 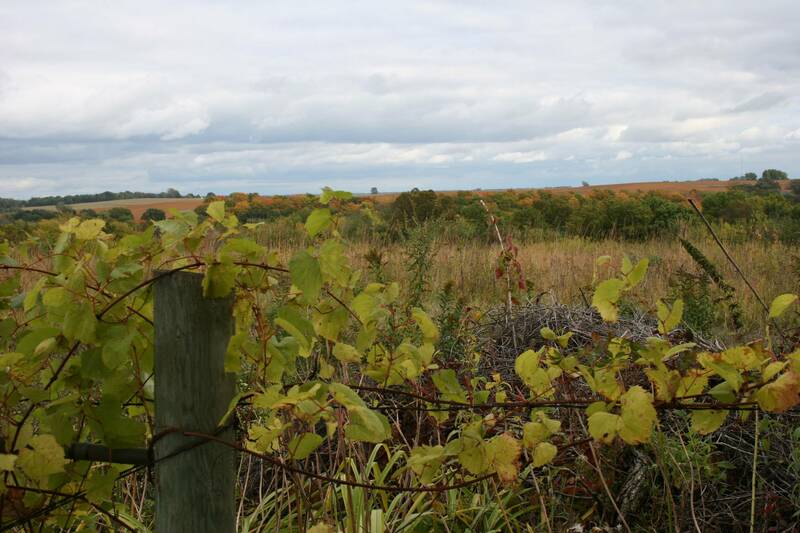 Across the fence line, a spectacular autumn view from inside the Valley Grove Cemetery. 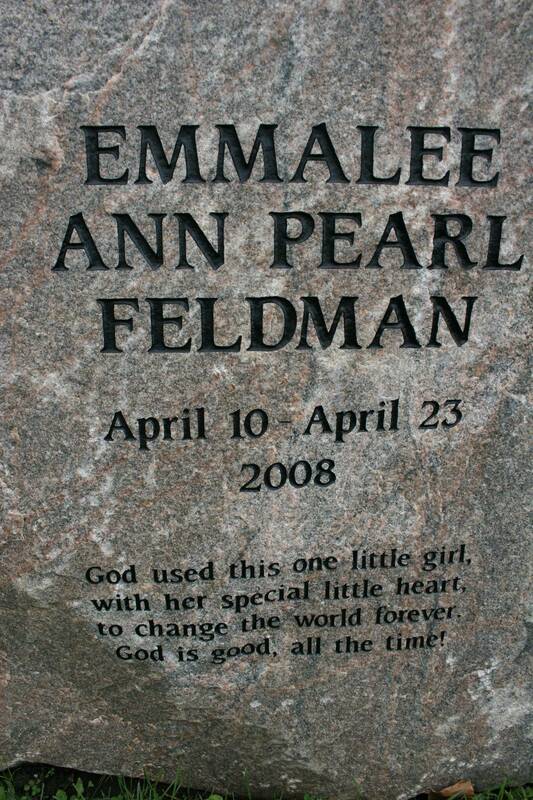 A touching tribute to Emmalee Feldman, who was born with a heart defect and lived only 13 days. Her brothers, Owen and Cooper, were born prematurely on Feb. 8, 2009, and lived for 19 minutes. 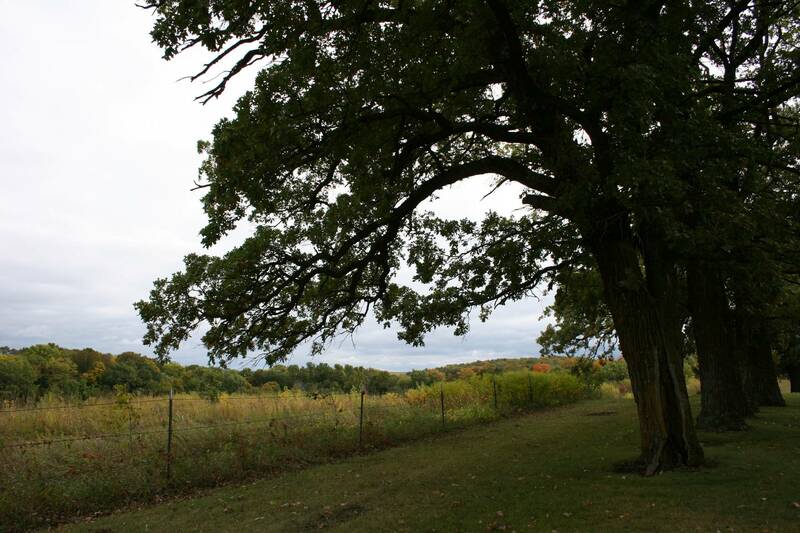 Trees and prairie embrace the country churches and cemetery of Valley Grove northwest of Nerstrand. DO YOU EVER WISH for a bouquet of flowers to lift your spirits or simply to celebrate? So with that, I’d like to introduce a new feature on Minnesota Prairie Roots. Each Friday I will give away virtual “Friday flowers” to deserving individuals. These will go to those who deserve recognition or thanks, who need uplifting/encouraging or who are celebrating. It’s as easy as that. You too can submit “Friday flowers” requests to me either via e-mail (if you have my address; sorry, I’m not publicly divulging it) or via the comment option on this blog site. If you submit via a comment, I will simply pull the necessary information from your comment, incorporate it into my “Friday flowers” blog and then delete your comment. To protect privacy, I ask that you submit only first names for “Friday flowers” recipients. I will review all requests and reserve the right to decline any requests. Submission deadline is Wednesday of each week. Then, each Friday, check to see who has received virtual “Friday flowers” on my blog. If I posted a request from you, let the recipient know by referring him/her to Minnesota Prairie Roots. My goal here is to show gratitude and compassion to others and to celebrate the joys in life. 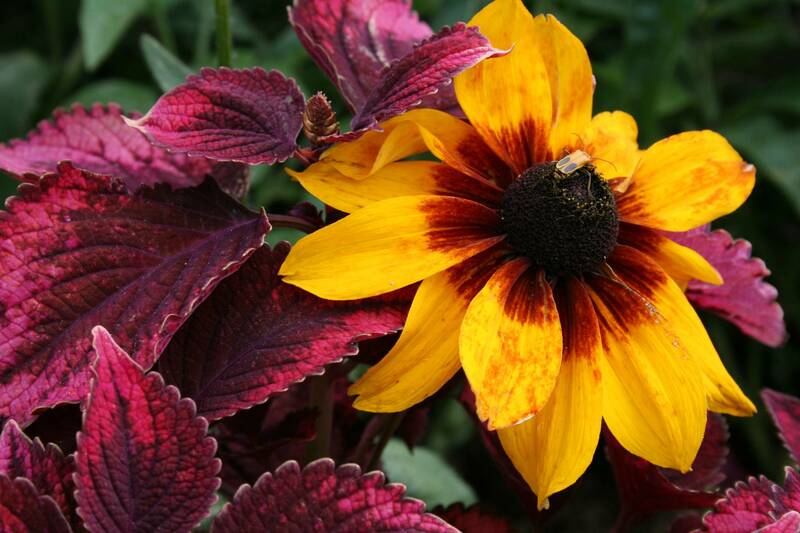 My first "Friday flowers" image comes from Lyndale Park Gardens near Lake Harriet in Minneapolis. I toured the beautiful gardens this past summer. My friend Jenny, who is turning 45 today. Thirteen years ago Jenny put aging into perspective when she told me, on my birthday, “Well, it’s (your 40th birthday) better than the alternative.” I’ve never forgotten Jenny’s sage words. My sister Monica, whose husband is undergoing surgery this morning to “fix” toes crushed in a work-related accident about a month ago. Edell, my editor at Midwest Mix Magazine. Her 31-year-old brother died recently from accidental carbon monoxide poisoning. A dear high school friend, Sharon of Wyndmere, N.D. Sharon became a grandma last Saturday, when her daughter, Miranda, gave birth to Colton Joseph. This proud “Mammie” (as Sharon calls herself) has shared some 30 pictures of her adorable 7-pound, 8-ounce grandson with me. Colton has so much hair that he looks ready for his first haircut already. My friend Lisa, who knew I was having a trying day yesterday and offered to lend me her copy of Liar Liar with Jim Carrey. Instead, I watched The Office last night and laughed. Check out Lisa’s website at http://lisamboltsimons.com. Milo, president of the Faribault Diversity Coalition, who is organizing efforts to “Bring Warm Clothes” to those in need in the Faribault community. See http://faribodiversity.blogspot.com. SO THAT’S HOW “Friday flowers” works. This concept may need some tweaking. I’d love to hear your feedback, meaning send me your comments and your suggestions for “Friday flowers.” Please tell me why your suggested recipient needs or deserves virtual flowers. Remember, the weekly deadline is Wednesday. And please, only one “Friday flowers” request per week. I captured this image at Issacson Implement in Nerstrand on a dreary and drizzly afternoon about a month ago. THE SHADE SNAPS up to reveal another dark, gray morning. And more rain. As much as I dislike these endless, cold, wet and dreary Minnesota days, my concern over the weather ranks low. But the farmers, oh, the farmers. How will they bring in the corn to feed the cattle or pay the bills? 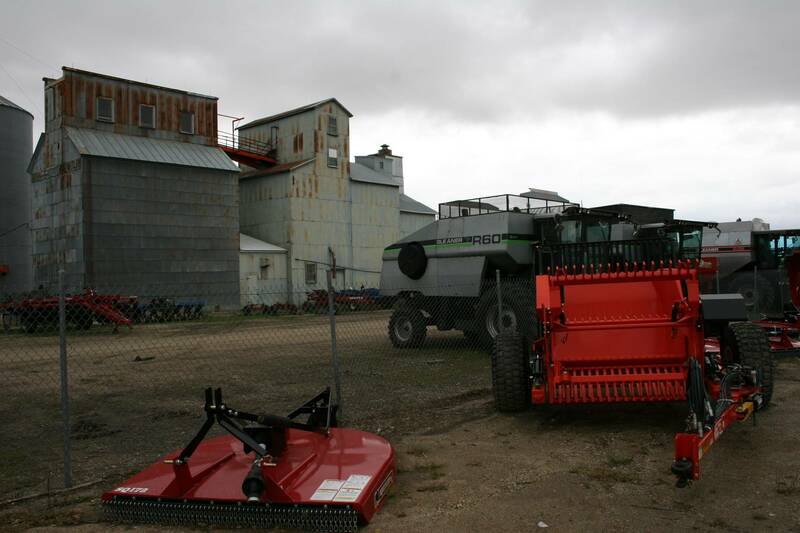 How will they harvest the soybeans? How, in these mucky fields? Many years of farm living and listening to my dad agonize over the weather instilled in me an understanding of the farmers’ plight. These tenders of the land exist at the mercy of uncertain skies and a fickle market. I told my dad once, and probably more than once, that I wanted to be a farmer just like him. He discouraged me. He was right. I am a worrier. And right about now, if I was a farmer, anxiety would weigh heavy upon me like the oppressive gray skies. Gordon Fredrickson's latest picture book. 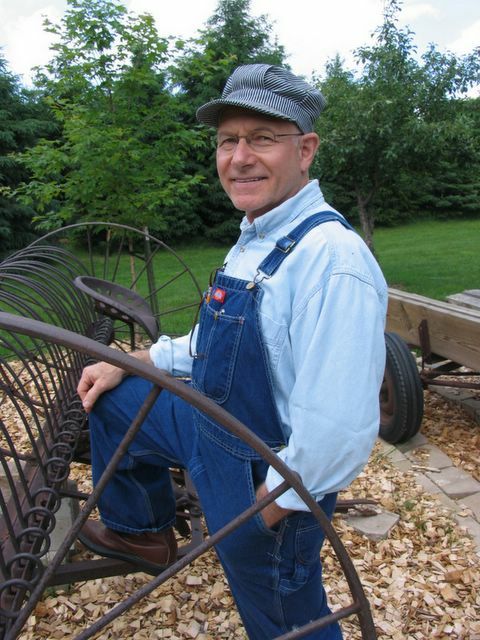 Gordon Fredrickson dresses the part of an old-time farmer when he shares his books and stories during educational programs, at book signings and elsewhere. 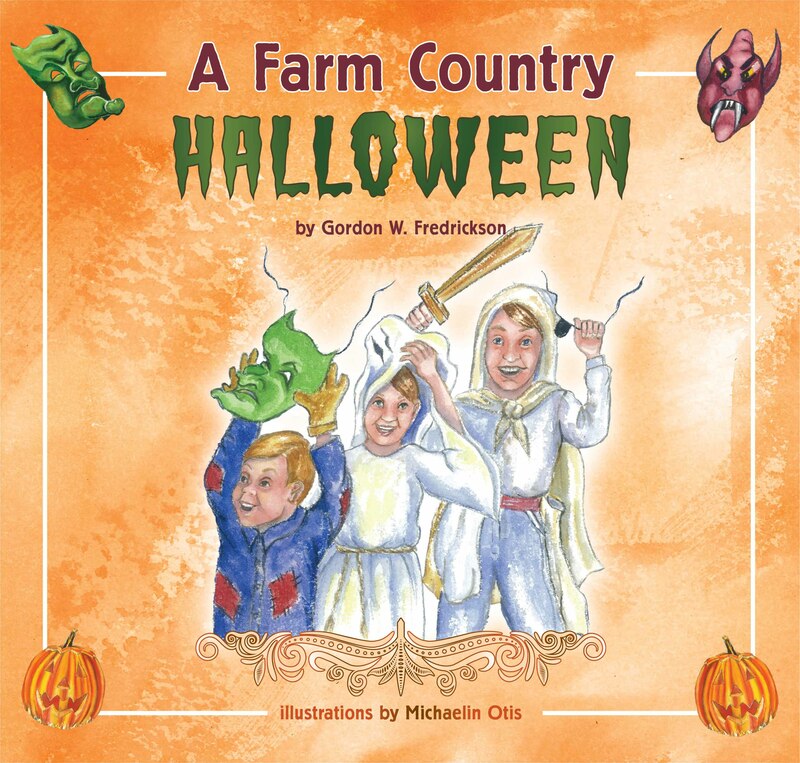 WITH HALLOWEEN just days away, the timing is perfect to reveal Minnesota writer Gordon W. Fredrickson’s latest picture book, A Farm Country Halloween, published by Beaver’s Pond Press of Edina. I’ve become a fan of this Lakeville author, who also penned A Farm Country Christmas Eve and If I Were a Farmer, Nancy’s Adventure. What so endears me to Fredrickson’s books are his clear love of the country, his strong values, his accurate depictions of farm life and his ability to spin entertaining tales. In A Farm Country Halloween, readers join the Carlson siblings on a trick-or-treat route through their rural neighborhood in 1950. Based on a real-life event, the youngsters journey from house to house, accepting treats like wax paper wrapped fudge and Cracker Jacks. They are polite and obliging, as most kids were in the 1950s. But just like kids today, the Carlson youngsters don’t always listen to their parents. That leads to a frightening incident that puts the scary in this Halloween story. I’m not going to spoil the plot for you. Let’s just say that Jimmy, Maggie and Joey learn their lesson and realize that they should have obeyed their parents. That’s the thing about Fredrickson’s stories. He weaves lessons into the very fabric of his tales. And by tapping into real-life experiences from the 1950s, he also preserves history, bringing back fond memories for older readers and educating younger readers about the past. The charming illustrations by artist Michaelin Otis are also period accurate. If only I was 10, I would dress as a gypsy this Halloween, just like I did so many years ago. I would pull a plastic gypsy mask across my face, wrap my mom’s colorful skirt around my skinny (well, not-so-skinny) waist, dangle bracelets upon my wrists and jangle my way through the night. Such are the memories prompted by A Farm Country Halloween. For more information about Fredrickson, his books and speaking engagement options, go to www.gordonfredrickson.com. IT’S ONLY 8:15 on Saturday morning and already this day is not going as planned. I had hoped to sleep in, meander on to downtown Faribault for the fall festival, where I will sample chili, wander through shops and simply enjoy my day. Later, I will visit art studios on the South Central Minnesota October Studio Tour. But I will do none of that. Instead, I am dressed in my grubbiest clothes—worn-out jeans, an old T-shirt, a hooded sweatshirt, another sweatshirt, a stocking cap, brown cotton work gloves and tennis shoes. Not exactly “I want to be seen in public” attire. No one really cares, though. I am at the Rice County Solid Waste Landfill with my husband unloading broken bricks from our should-have-been Cash for Clunkers, hail-pocked, rusty 1988 wood grain-paneled maroon van. 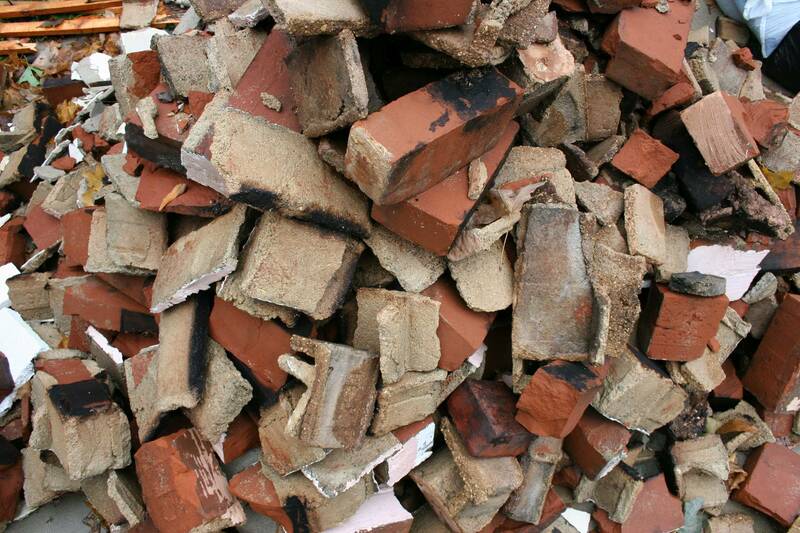 Handful by handful, we removed more than a ton of broken chimney brick from our van Saturday morning. We are here because we must make hay while the sun shines. Translation: The morning fog has lifted to reveal a rare sunshine-filled sky absent of rain clouds, an ideal day for outdoor tasks. So we are here dumping the old chimney bricks that have been piled on our driveway for weeks, soaking up the never-ending rain. “My fingers are cold,” I complain only 10 minutes into the job. Already moisture has soaked through the thin cotton fabric, offering minimal protection from bricks that feel like chunks of frigid ice. I am flinging bricks from the back of the van like a mad woman. Thunk, thunk, thunk. Bricks slam onto the mud-slicked floor of the cement demolition bunker, scattering upon impact. “We should have brought a shovel, a pail,” I say, chastising myself for failing to think ahead. Next trip. Twenty-two minutes later we are driving through the muck and water away from the bunker and back to the weigh-in scale. We have just, by hand, deposited 1,300 pounds of bricks here. And now we are on our way home for another van load. I am rubbing my hands together, trying to warm them as the van’s heater spews warm air. And I am trying not to breathe in the soot that lingers in the van, the soot that leaves an acrid taste in my mouth that won’t go away. We should have worn protective masks. As we drive into town, I suggest that we reward ourselves with doughnuts. I am hungry from the hard labor and fresh air. And I need to fuel up for the yard work that lies ahead. We stop at a grocery store bakery where I hope we’ll go unnoticed in our rag-a-muffin clothes. Of course, we run into someone we know, Ray and Donna, looking for pumpkin doughnuts. We decide on caramel rolls, without the nuts, for our still-slumbering teenaged son (who really should be up helping us). Soon we are home wolfing down those scrumptious caramel rolls, washing away the soot with glasses of milk. Then it’s back outside to dig up dahlia tubers, plant tulip bulbs, transplant iris. Mud, thick and gummy like paste, sticks to my gardening shovel. The soil, heavy and cold, freezes my fingers. I consider the farmers, who have been unable to harvest corn and soybeans because of the wet conditions. I have nothing to complain about, nothing at all. I rise from the earth in my mud-stained jeans, swipe my arm under my drippy nose, then head toward the garage. My husband is there, tinkering with the snowblower on this Saturday, when the sun shines, when I’d rather be touring art studios than tossing bricks or digging in the heavy, cold dirt. “Boy….struck…vehicle…” The words cut to my heart, bringing instantaneous tears as I read the newspaper headline. That was 3 ½ weeks ago, when I learned that 12-year-old Curtis Holter had been hit by a truck and killed while biking across a busy Faribault street. Yesterday I received a thank you from his family, including photos of the boy with the wavy hair, broad smile and friendly eyes. Although I had never met Curtis, I could see in the photos his joyful spirit and the promise of the man he would become. That became even more apparent in the letter his family wrote thanking those who have supported and surrounded them during the difficult days since losing Curtis. I had sent condolences to the Holter family. “On the night before Curtis died, he layed (sic) down beside me on my bed. I stroked his hair, running my fingers through it and we were making plans for MEA,” the letter reads. Tears surfaced as I recalled the many times I’ve stroked my son’s hair, the many times I’ve embraced him, felt his ribs and backbone in the thinness of his stretching adolescent body. I wept more tears for the mother and father, for the brothers and sister who are left without Curtis. I wept because I have walked perilously close to the path the Holters have walked. My son was struck by a hit-and-run driver 3 ½ years ago while crossing the street to his bus stop. He was 12 years old, just like Curtis. But unlike Curtis, my son survived and was not even seriously injured. Unless you have lived in that moment, it is almost impossible to convey the overwhelming feeling of heart-piercing agony. 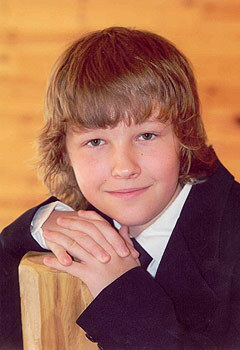 CURTIS COLLIN HOLTER, the son of Bradley and Patricia (Bussert) Holter, was born on Nov. 4, 1996, in St. Paul, Minn. Curtis currently was in seventh grade at the Faribault Middle School, where he was involved in band. He was greatly involved in his church’s youth group, which has done many volunteer and service projects in Faribault, including Shine 2009. He also was very involved with Big Brothers & Big Sisters of Faribault. Curtis loved animals and cared for two dogs and his own cat at home. He played baseball as a youth and enjoyed riding bikes near his home with neighbors. He enjoyed playing in the woods at home and sliding in the winter with his family. Curtis was well liked by many and will always be remembered for his great smile and laugh. Special thanks to Brad and Patty Holter, who allowed me to share their story, photos of their precious son and a portion of his obituary with the readers of Minnesota Prairie Roots. Their courage, strength and faith have been an inspiration to me. 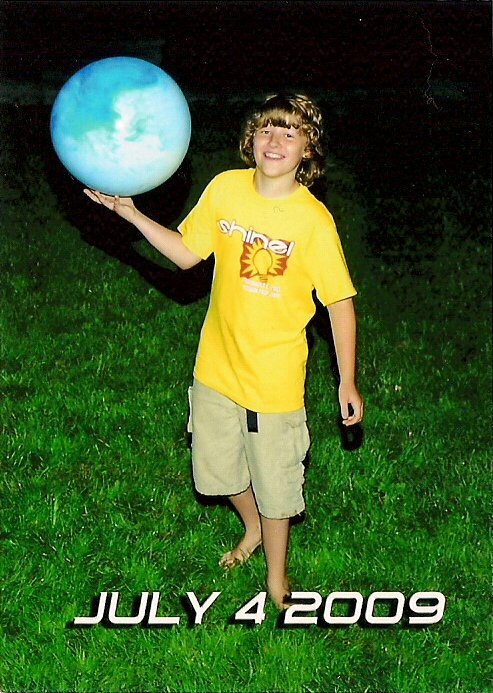 Blessed be the memory of Curtis Collin Holter, who, on Nov. 4, would have become a teenager. Photos © Copyright 2009, Artistic Photography, Inc., Brad and Patty Holter, Faribault, Minn.
FIND TOTO, my caller ID reads. I hesitate. We’re not in Kansas and I suspect a scam. But then I push the green button anyway and answer my phone. While I can’t recall the exact words, an automated voice spews out information about a pet alert in my neighborhood for a dog named Flurry. I’ve heard enough. This can’t be for real. I push the red button, click, and end the one-sided phone call. Thursday morning a silver boat of a car pulls up in front of my house. A woman exits the passenger side and tacks a sign onto a corner utility post. Likely not a garage sale sign, considering the rainy weather. But then I remember. Could this be Dorothy, looking for Toto? Later, I step outside, bested by my curiosity. Donna, not Dorothy, is searching for her missing white Bichon Frise. Flurry was last seen on Oct. 20 along Northwest Seventh Street in Faribault. The 12-year-old dog has seizures and needs medication. Donna wants her dog back, and she is offering a $500 reward. Now I’ve seen plenty of stray cats in my neighborhood. But a dog? Nope. When my son arrives home from school, I tell him we need to find Flurry. He could use the $500 to pay for a Spanish class trip to Spain, because the expected flurry of fundraising never materialized. Heck, I could use the money to help pay for our new heating and cooling system, an updated kitchen, new bedroom windows, a new front door. I know, money shouldn’t be my motive in searching for a lost pet. But, well, $500 is a good chunk of change. “So what’s this dog look like?” my 15-year-old asks. “Kind of like Benji,” I say, envisioning the posted photo. Yeah, OK, then. This ought to be easy. I tell him to go outside and view the photo of Flurry. He doesn’t. There is no search for Flurry, except on the internet. I google www.findtoto.com because, by now, I figure that earlier phone call was legit. Findtoto.com, I discover, is an Amber alert system for missing pets. I type in my 55021 zip code and find information about Donna’s missing dog. She has also posted information on Craig’s list and on FidoFinder.com. If it wasn’t raining cats and dogs as I write this, I might be out searching for the run away Toto, uh, Flurry, right now.